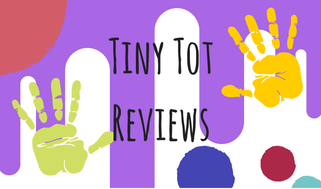 Tiny Tot Reviews is a way for me to showcase some of the many children’s books that I read during my down time at the bookstore. 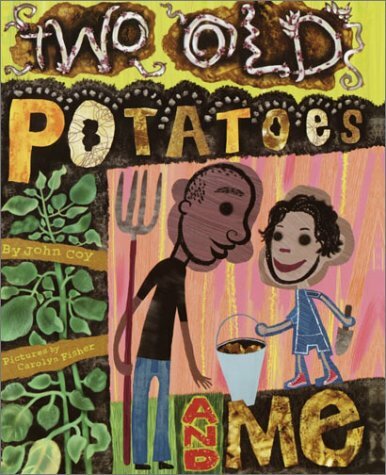 One day at her dad’s house, a young girl finds two old potatoes in the cupboard. “Gross.” But before she can throw them away, her dad suggests they try to grow new potatoes from the old ones, which have sprouted eyes. Told from May to September, the potato-growing season, the story includes all the basic steps for growing potatoes while subtly dealing with the parents’ recent divorce. Just like the new potatoes that emerged from ugly old potatoes, this dad and daughter move on and make a new life together in the face of unavoidable and unpleasant change. Carolyn Fisher’s artwork will be instantly recognizable from her recent picture book debut, A Twisted Tale, and her trademark high-energy art and design infuse joy and humor into this heartwarming story. Two Old Potatoes and Me is a really simple book about coping with divorce and growing potatoes, making for a cute little story about a father and daughter trying to make new memories. The art in this one is a love it or leave kind of style, reminiscent of a messy scrapbook. It’s really energetic and makes a rather mundane subject, like growing potatoes, into something a bit more lively and vibrant. It also really matches the story well, reflecting both the jumble of feelings as the two adjust and the happiness they find in a simple task. This would definitely make for a great activity book as well, and it seems like a fun idea to use this a starting point to growing your own potato. I really like that this one touches on divorce as well. It’s subtle, so you can focus on the potatoes if it doesn’t apply but having it in there not only helps with reading diversity but possibly with kids who are having trouble adjusting themselves. Image | This entry was posted in Book Reviews (2015) and tagged 3 stars, children's, review. Bookmark the permalink. Anything regarding potatoes is far from mundane, Michelle. Watch yourself before insulting spuds. lol. No, but seriously, this sounds like a nice little book. Lol! Don’t get me wrong, I love me some potatoes!